Compare the above photograph to this one. This is one of my favorite close-up shots taken with my Nikon AF-S Nikkor 60mm 1:2.8 macro lens. 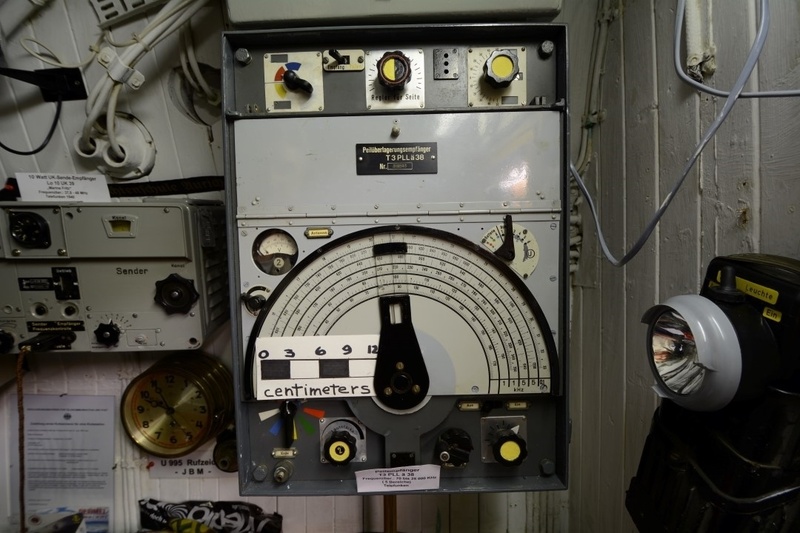 It shows the lower right-hand corner section of the tuning dial of the same T 3 PLLä 38 radio receiver shown above. Look at the fantastic detail, like the damaged screw head, that the macro lens can reveal. Oh, yes, "Ein" means "on." To the sign's immediate left is the on/off switch. 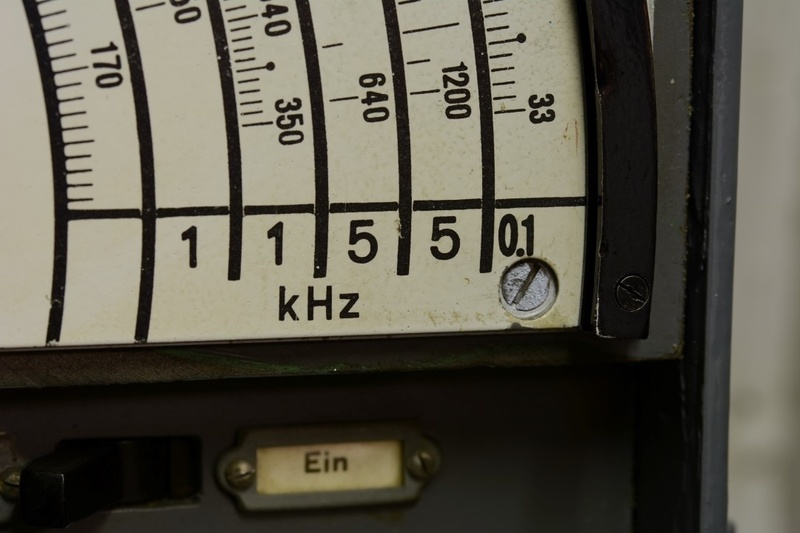 "kHz" stands for "kilohertz," meaning a frequency of 1,000 cycles per second.